Tom was born and raised in Berks County, PA on a Dairy Farm known as Mat Mar Farms Inc., in West Leesport. Tom went on to manage the farm and held the position of president for 10 years. As the agricultural economy changed over the years in Berks County, Tom became well-known as the always smiling, ever patient Parts and Service Manager at Manor Equipment in Sinking Spring. He held this position for over 20 years. 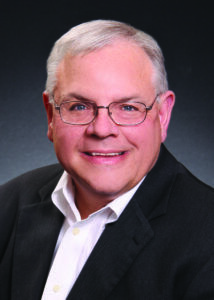 Tom began his career in Real Estate after many years of serving customers and clients within his own community. He enjoys working with buyers and sellers of all ages and continues to stay in touch with his clients long after the sale via phone calls, mailings and visits. Past clients are his best source of referrals! Tom works in Berks County and Lancaster County and has offices in both counties as well. When it comes to working with the senior market, his qualifications are literally unmatched. 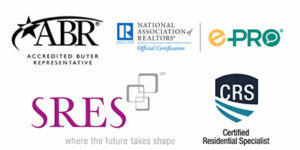 Tom has earned the national designation of Certified Senior Advisor Realtor in Berks County. He also has the SRES Realtor Designation (Senior Real Estate Specialist) for working with seniors in the mature market. Tom has also completed the Real Estate e-PRO Designation (enhanced internet and technology professional), the CRS designation (Certified Residential Specialist) and just recently the ABR Designation (Accredited Buyer Representative.) This education has given him the ability to use advanced technology that is necessary to enhance his business and better serve his clients in the ever changing residential and commercial real estate world. In Tom’s “free time” he loves to spend time with his grandchildren and golfing. Having golfed in many different states one of his favorite courses remains Willow Hollow Golf Course in Leesport. He also loves watching sports, football being the favorite. Another hobby is camping, and spending time with family and friends. Tom believes there has to be a balance between business, family and God. He loves to give back and is an active member of the following organizations. information about real estate in your area, contact Tom today.